Neurobics or neuro-aerobics are exercises for your brain. 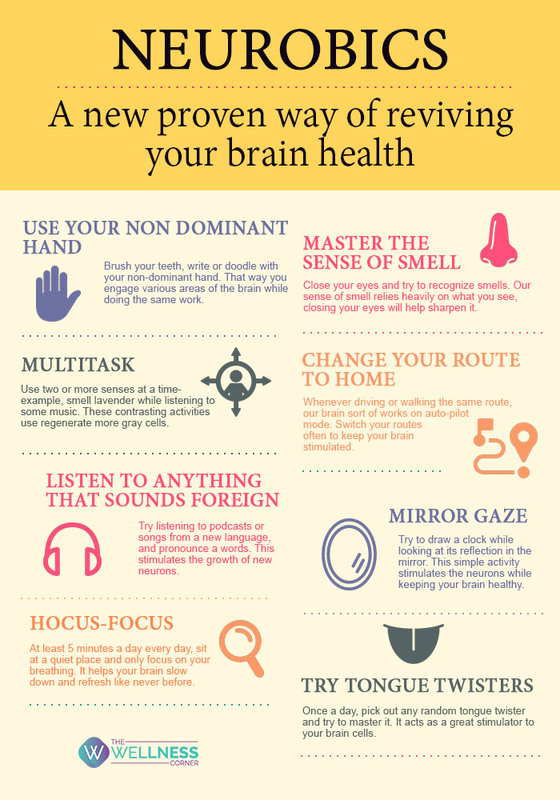 These exercises are aimed to engage various parts of the brain into various challenging activities, to keep them working, improve neural connections, increase the grey matter and in turn improve a number of cognitive tasks- primarily memory and learning. These unconventional activities provide numerous health benefits in addition to cutting out monotony from your mundane routine.